RESULTS: 17% Conversion Rate (+467% higher than PPC average of 3%). 106 Incremental Users Requesting More Info through a Form Submission. Medical Billing and Coding was one of the most visited program pages on Drexel University Online’s website. Organic Search was driving the majority of traffic to these areas. Through Seer’s analysis, we found that there was a high percentage of non-converting users coming from this channel. We also identified that many of these non-converting users were navigating to Tuition or Courses links on the page, leading them away from our desired conversion, and often the site itself. The challenge became, how do we get those non-converting users interested in the program enough to submit a form on their first session? Our goal was to improve the form submission conversion rate (CvR), thereby increasing the amount of people inquiring about the program. 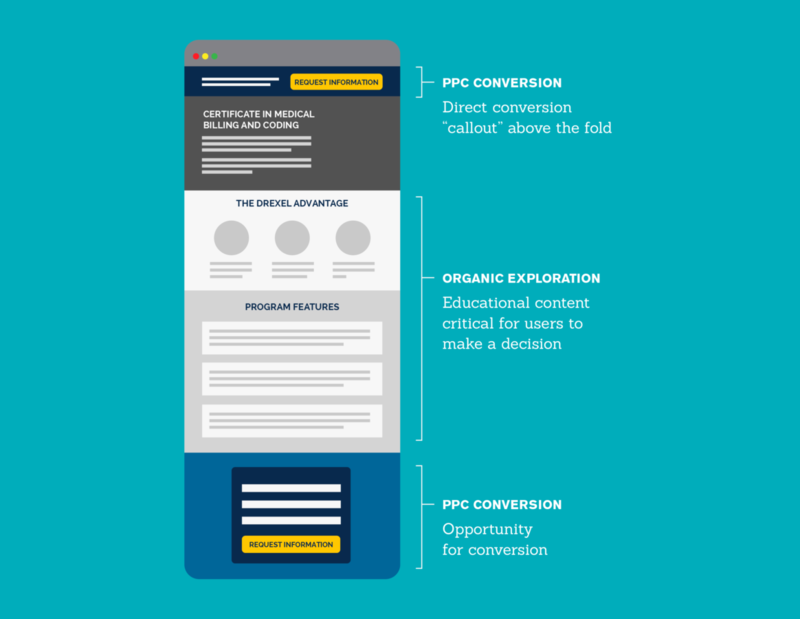 From our assessment of the organic-only program page, we recommended that Drexel University Online build a PPC landing page that created more of a direct conversion point while still providing users with the critical information needed to make a decision. 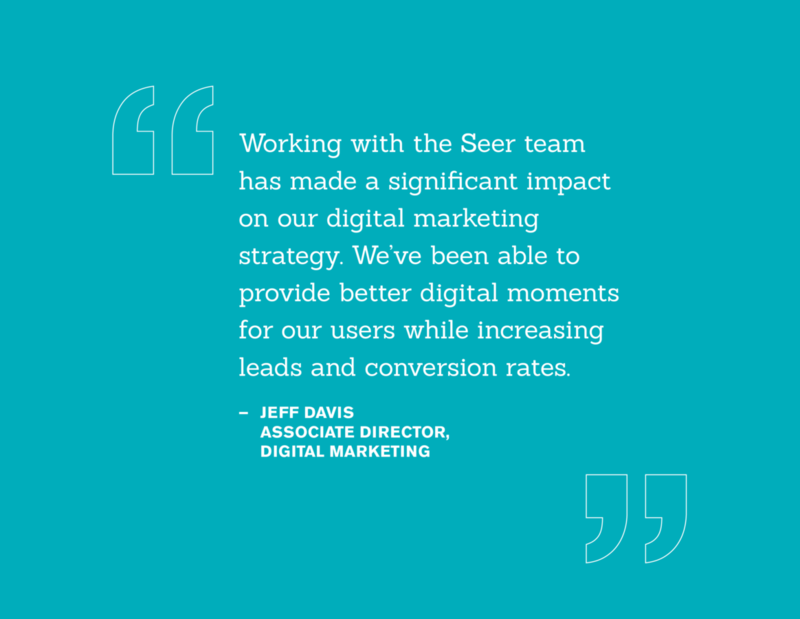 Drexel University Online created the PPC landing page and Seer’s recommendation generated positive results within the first week. 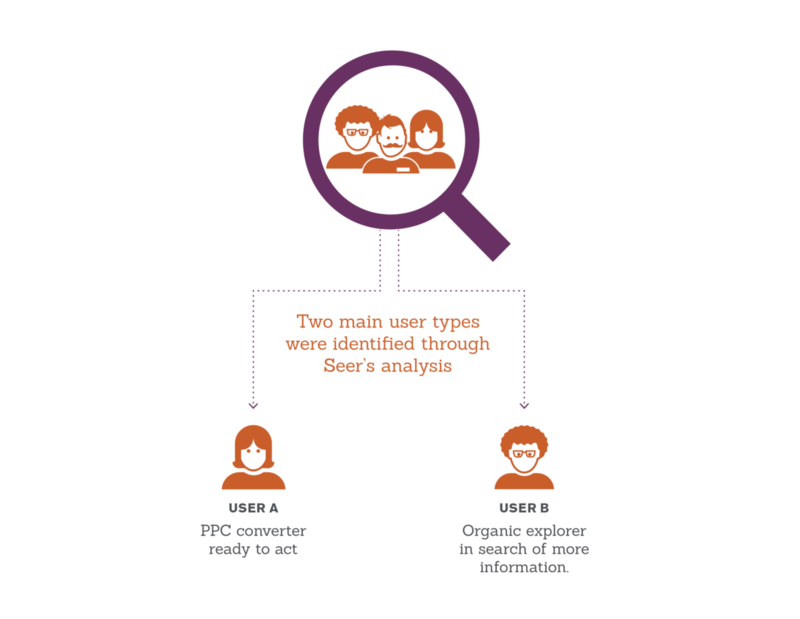 Based on our analysis of the organic program page, we modified the PPC landing page to ensure that users had what they needed both from an organic exploration standpoint, and from a PPC conversion standpoint. Within the 1st week of results, we noticed a much higher CvR for the PPC landing page vs the initial general organic program page (indicating success and more opportunity for growing the test). The PPC landing page drove 106 new user inquiries for the Medical Billing and Coding program—a +467% higher CvR improvement compared to the organic variation of the program page. This was despite lower traffic volume and no optimizations made to Drexel’s preexisting paid search keywords. 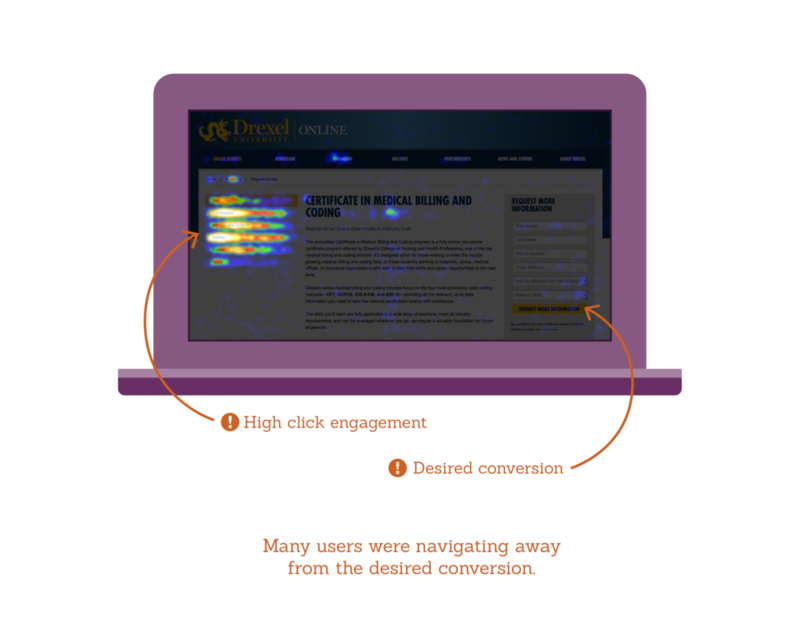 The initial results of this small scale test provided high-level, actionable insights into the types of content users engaged with the most prior to converting—therefore increasing the likelihood of conversion from the initial variation.